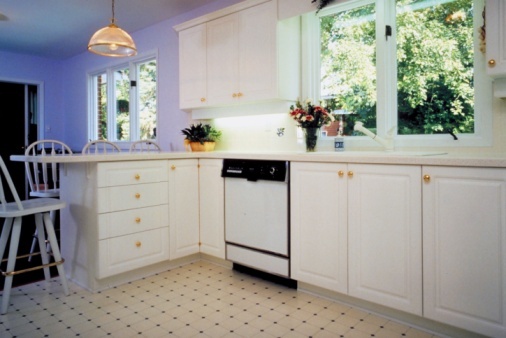 Washing machines require a ready supply of hot and cold water for use in wash cycles. Two supply pipes at the back of the appliance connect to your home's plumbing via a shut-off valve that regulates the flow of water into the washing machine. 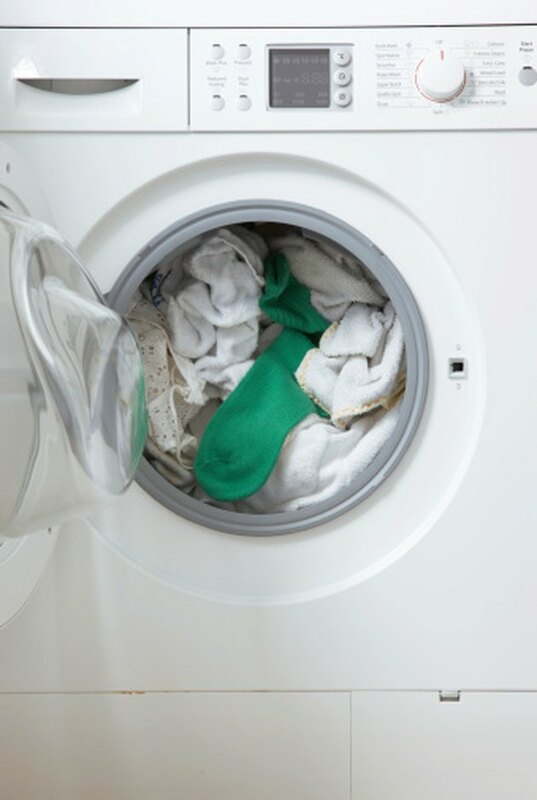 You might want to switch off your washing machine's water supply before you move the appliance to a new location or have it serviced. Turn off the water before you move or service your washing machine. Move your washing machine away from the wall or out from beneath the counter, if necessary, so you can see the water supply pipes. Follow the supply pipes to the wall. There are two shut-off valves, one each for hot and cold water, located where the pipes meet your home's piping. Turn both shut-off valves in the "Off" direction as far as they will go. The water supply to the washing machine is switched off.